Several years ago I had a dream where I was walking alongside my Sister in the desert and, in the distance, saw something move. When I realized what it was, I started running towards it, and the Wolf, in turn, ran towards me. I could hear my Sister’s voice in the background, begging me to be careful, as the creature may not be trustworthy. This is all I remember from the dream, and in truth, it is all I need to remember. At the time, I had no idea that this dream would be one of many involving wolves that would change my life forever. Fast forward, years later would have me diving into the Underworld, my Shadow Self, and learning to embrace what I once thought to be terrible. It is far too common that we caution ourselves from taking the risks necessary to deeply dive into what we fear and devouring our Darkness. I choose to be the Alchemist, and so, in this lifetime I must learn to embrace both the Predator and the Prey within. As Women, I believe, there is still this invisible blanket of expectation that surrounds our every move. I know this based on media in regards to aging. We are taught and expected to look ‘pretty,’ always; to be reserved, quiet, polite, clean and ‘pure’- like the so-called Virgin. This is not our Truth, nor is this a form that Women and young Girls should be forced into. Purity is a delusional noose that has been so tightly placed around our necks, that if all Women were to scream out at the same time about this injustice, it would shatter glass in other dimensions. 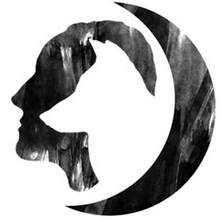 I think back to the Wolf dream and the Jungian philosophy that all things in my dreams represent an aspect of ME. With this theory it was I, not my actual Sister, that cautioned me to be careful. And yet my Truth, which is the unspoken Truth of every Woman, is to know my Wild Self; to free Her, to embrace Her, and to look upon Her without judgement. To do this takes courage. It demands absolute alignment with the desired outcome- to know Thy Self, and to not just be ‘okay’ with all the things that make up me, but to give them a voice and celebrate them. Little Red Riding Hood, as a simple visual tale, is a perfect example of how our society fights to keep Females from exploring our Wild Selves. As it goes, a young Girl decides to venture out and visit her Grand Mother, a journey that requires her to pass through the forest alone. Throughout the tale, we are given the symbolisms of a sojourn through life- a lifetime to be exact. The time it takes a Woman to become a Grand Mother or a Crone. On this journey, the young Girl is dressed in a red cloak- a symbol of her passion and the vitality of her Blood. This journey represents the juiciest part of life- to go from Maiden to Mother; to evolve from a young Girl to a grown Woman. But sure enough, here comes the ‘Big, Bad Wolf’ to stop her from exploring what unfolds when left to her Self, alone in Nature. ‘God forbid’ we should seek out that which feeds our passion, that which makes our Hearts sing! ‘God forbid’ we seek out that which brings pleasure to our yonis and our wombs! a deep relationship with her Self. And how dangerous can Self-Exploration really be? Quite. Because it is in our Nature to be free. It is in our genetic make-up to be Wild. And until we understand this- until Women are given Sacred Space and Sacred Time to truly explore who we are, than you damn well better know that we are dangerous. If you back anything or anyone into a corner long enough, you can be sure they will attack. A Woman caged is unlike any Beast you have ever known. She will always seek her freedom. She will always remain Wild. So I bring it back to the Wolf and to the plight of Wolves, which in reality are Woman’s ally, and I ask you, do we not destroy what we fear? Are not Nature and Beast a reflection of who we are? With this in mind, perhaps the story of Little Red Riding Hood was not as it seemed. 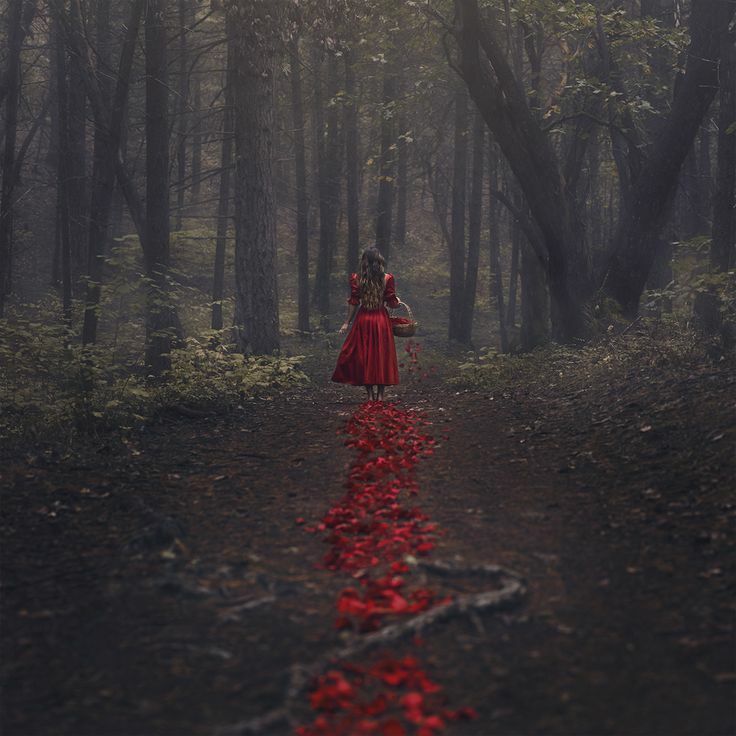 Perhaps Little Red was actually braver than we had ever imagined, having journeyed through life in all it’s twists and turns, exploring her passions, her loves, her losses, her triumphs; her ‘dark nights of the Soul’ which ultimately led to Enlightenment, and the Beauty of Life. And I bet Red rejoiced at finding her Crone Self at the end of it all because it meant she survived. At the end, she was still full of the Love that had tempered her Soul, for she had the scars, the stories and the wisdom to prove it. And I guarantee you, all along Red’s journey, that big, bad Wolf walked beside her, and that Wolf was her best friend.